Sunday 23rd September 2018 . 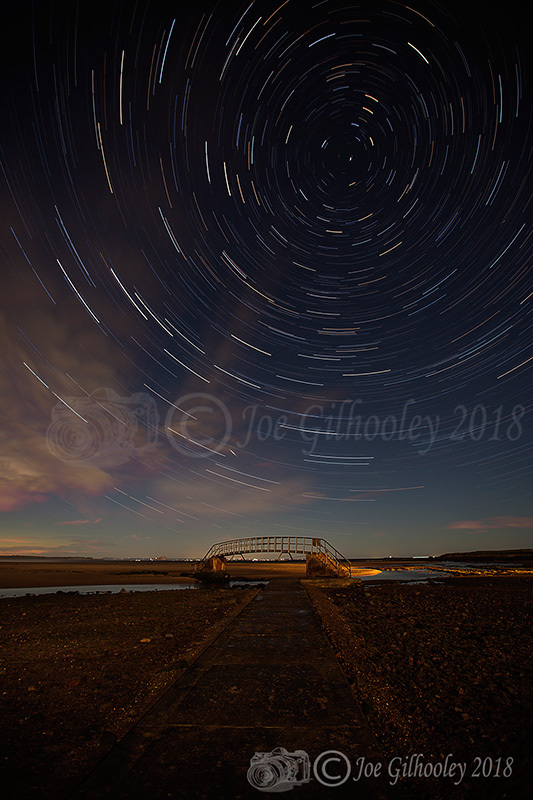 Sky was clear so I headed to Belhaven Bridge . The bright light from a lamppost at far end of carpark was a bit of a pest but I carried on with my aim. The almost full moon shone onto the bridge from behind me. The image shows how the stars move around the Pole Star (North Star) during the night. The Pole star remains in place as all the other stars move circular round it. The image on display here is made up of a series of images taken one after another. Camera remains static on a tripod. The image is made up of a series of images over 55 minutes .